I'm excited to share another Catholic freebie that I created for CatholicTeacher.com. 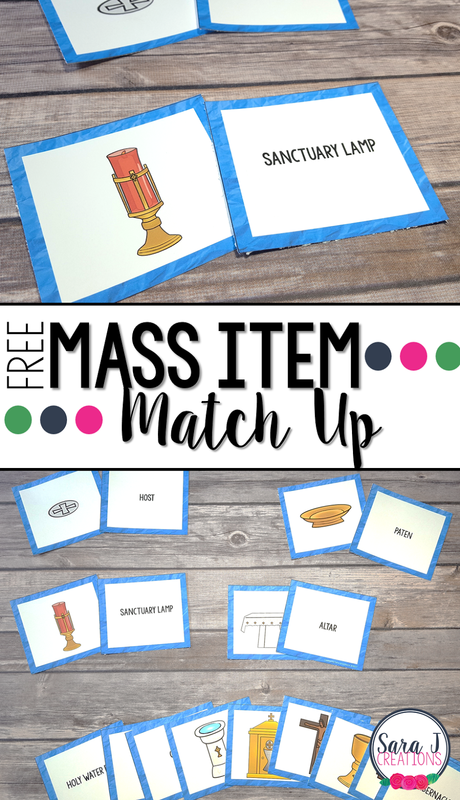 This is a matching game that pairs an item found in the Catholic Mass and the name for it. Students can play Go Fish, Memory or make flashcards to practice the correct terminology. Head to their site to learn more and download the free game. Find out more and grab your free download here! Love your Mass item match up! You are such a blessing thank you for sharing your talent and wonderful work! Thank you so much. That is so sweet of you to say. I'm glad you can use this freebie!